On this, our 49th episode, our guest is Lynn Walsh. Lynn Walsh is an Emmy award-winning journalist who has been working in investigative journalism at the national level as well as locally in California, Ohio, Texas and Florida. 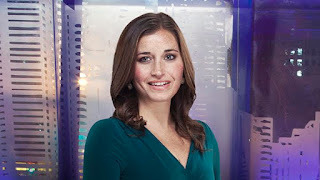 Currently she leads the KNSD investigative team at the NBC TV station in San Diego, California, where she is the Investigative Executive Producer. She is the National President for the Society of Professional Journalists and also serves the journalism organization as a member of SPJ’s FOI and Ethics committees. Lynn was also selected to represent SPJ on the Freedom of Information Act Advisory Committee where works to recommend changes to help improve the FOIA process. Prior to working in California, she was working as data producer and investigative reporter for the E.W. Scripps National Desk producing stories for the 30-plus Scripps news organizations across the country. Before moving to the national desk, she worked as the Investigative Producer at WPTV, NewsChannel 5, in West Palm Beach, Florida. She has won state and local awards as well as multiple Emmy’s for her stories. She loves holding the powerful accountable and spends more time than she would like fighting for access to public information. Her passion lies in telling multimedia stories that deliver hard hitting facts across multiple platforms. She describes herself as a "data-viz nerd" who is obsessed with new online tools to share information on the web and mobile applications. Lynn is always interested in new projects surrounding FOI, public information access, mobile reporting tools, social media and interactive journalism. She is a proud Bobcat Alumna and graduated from the Ohio University’s E.W. Scripps School of Journalism.